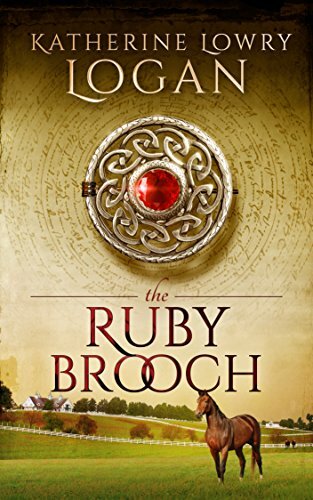 Armed with a mysterious ruby brooch and a satchel stuffed with modern conveniences, Kit MacKlenna swirls through time, appearing in 1852 on the Oregon Trail with only one goal in mind--find her parents before their murderers do. A serendipitous meeting on a wagon train with Scotsman Cullen Montgomery, a lawyer traveling to California to begin his legal career, just might set her off track. Her desire for secrecy collides with his pursuit of truth. If she can survive the dangerous journey and thwart his attempts to seduce her, she might uncover the identity of her birth parents and return home to reassemble the shambles of her life. As the journey continues, she and Cullen grow closer, forcing her to question what she truly wants. When disaster strikes, she must decide whether to stay in the past with her heart, or return to her home in the future--a place she believes she no longer belongs?